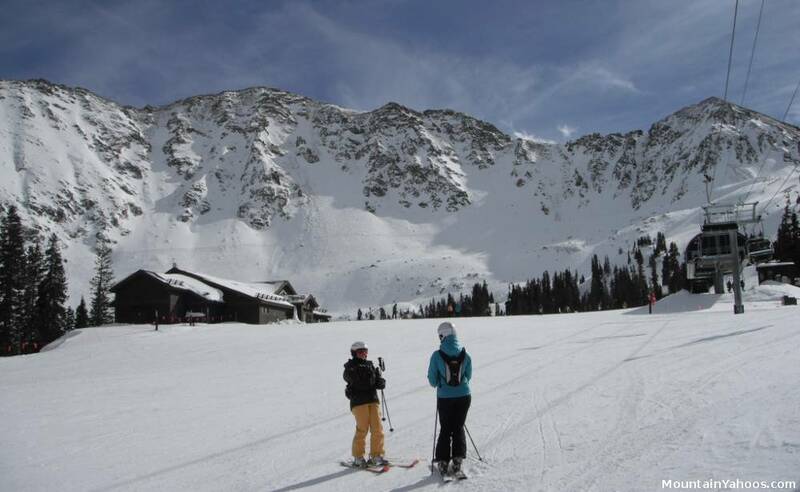 Arapahoe Basin is a popular destination for those seeking the nostalgic simplicity of a ski mountain, advanced open terrain or the longest ski seasons of any resort in Summit county often going strong till the month of June. 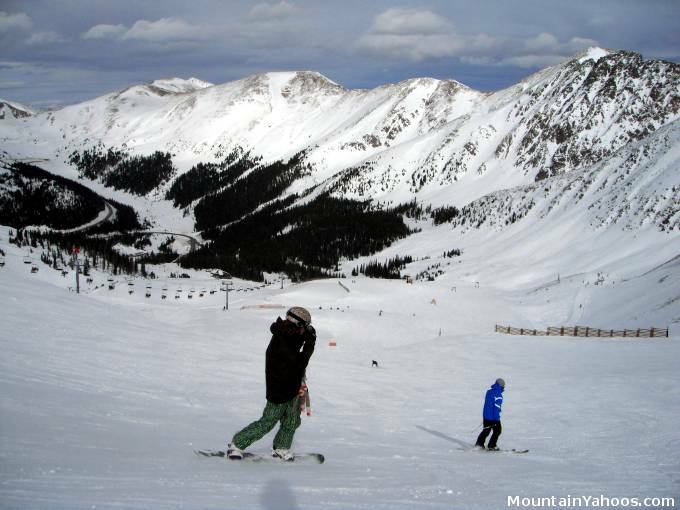 Located just sixty eight miles West of Denver Colorado, it is one also of the closest full size resorts to this metropolitan city. 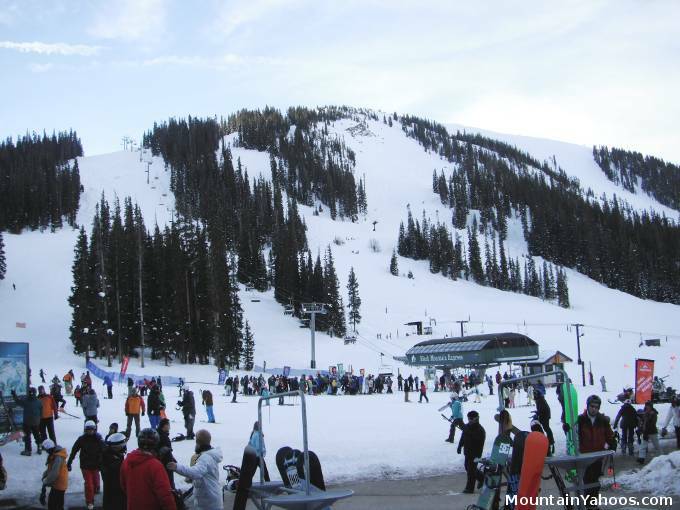 The resort does not have its own village or town at the base of the mountain but accomodations and services can be found in the nearby town of Frisco or at the nearby ski resort, Keystone. 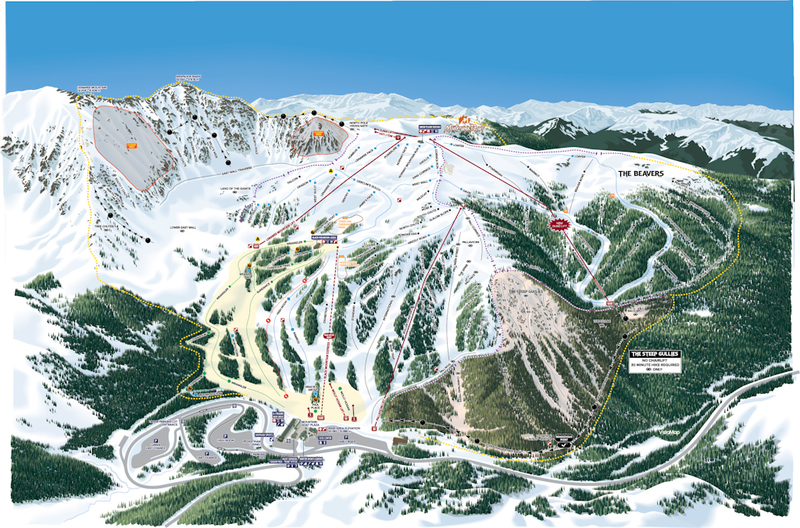 This ski resort has easy scenic beginner green runs to very steep and challenging double black diamond runs. 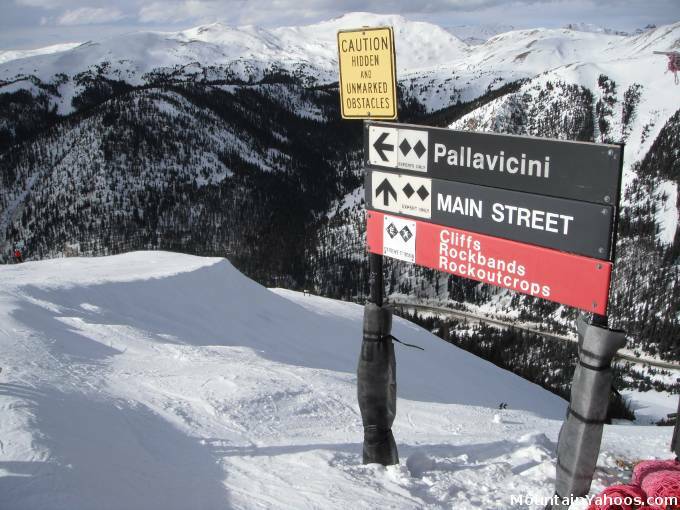 With sixty percent of their terrain dedicated to advanced terrain, there is no mistake who their core customer is. 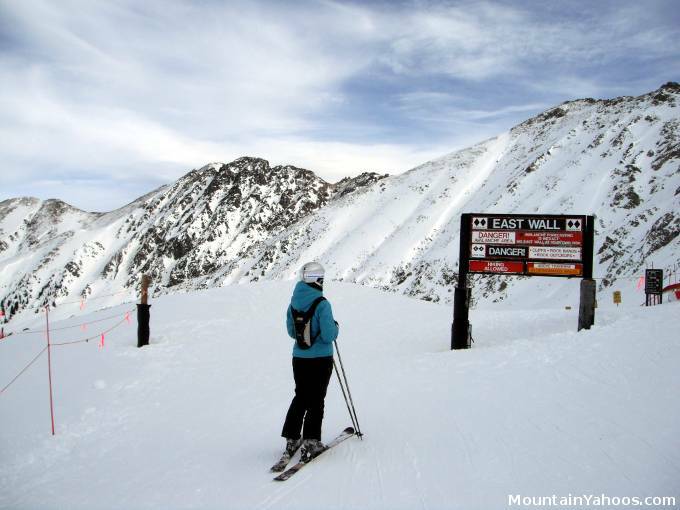 The locals of course call this ski area "A-Basin" and the name is as common as its official title. 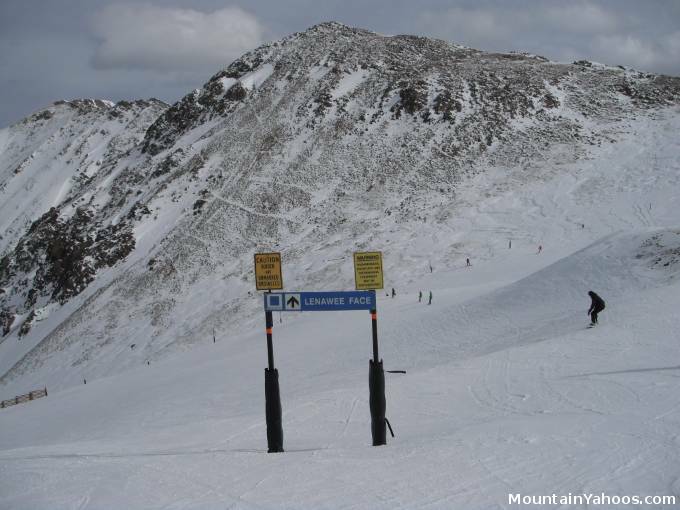 With only ten percent of A-Basin's terrain dedicated to the beginner one may think that the beginner is ignored but that would be untrue. 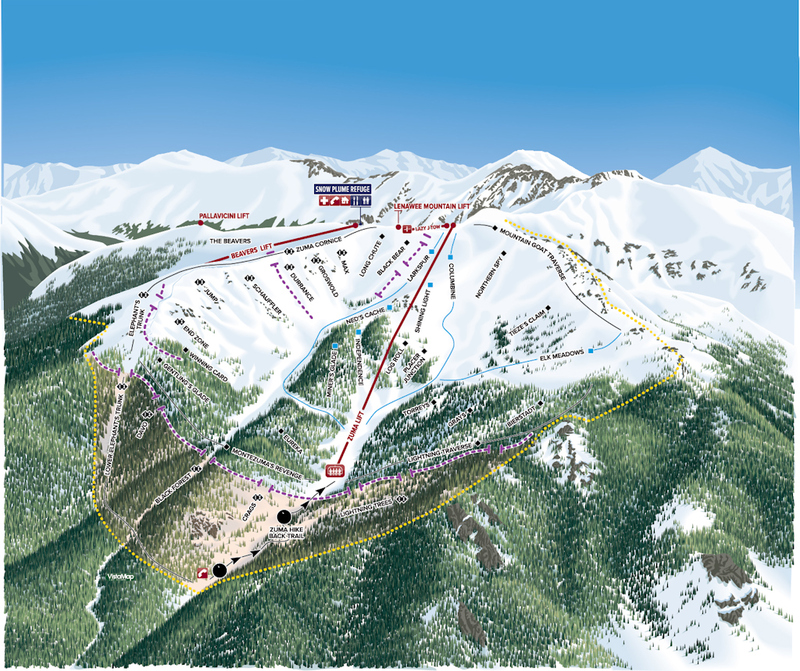 A-Basin has two magic carpet lifts for the tots and ultra beginners with very open beginner terrain. 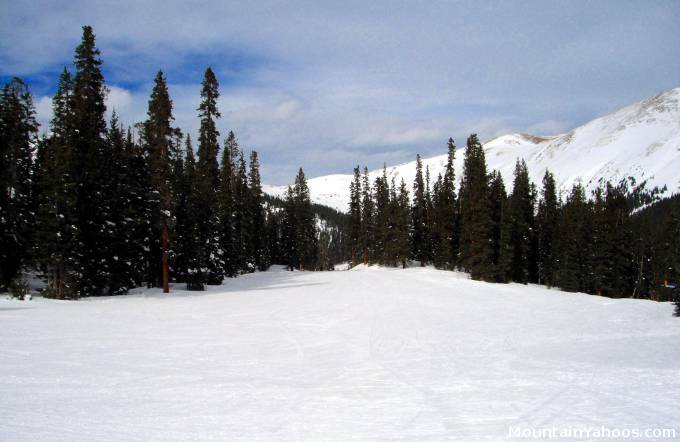 Wide open "Green" and "Blue" ski runs are accommodating to the beginner and intermediate skiers. 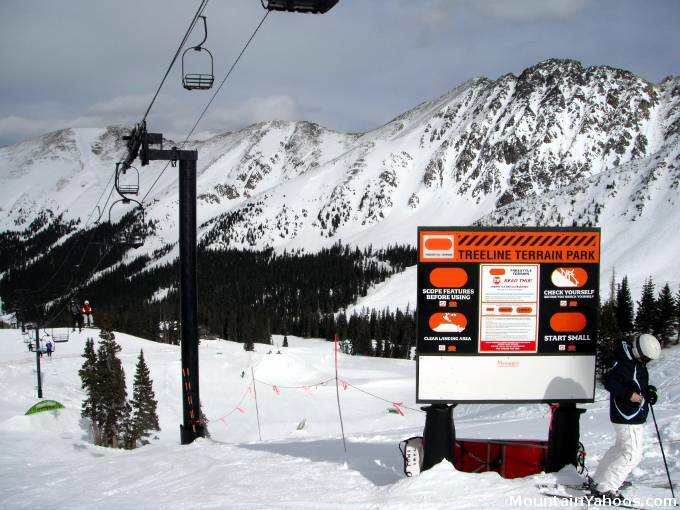 The advanced single and double black diamond slopes comprise sixty percent of the terrain at Arapahoe Basin. 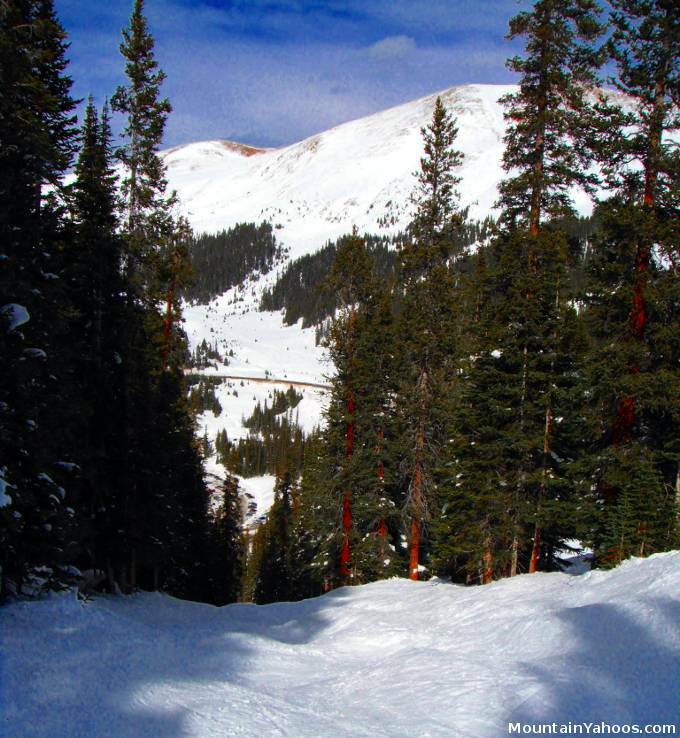 Much of this terrain lies above the tree line at the higher elevations where temperature stays colder and the fluffy powder snow is preserved for a longer duration. 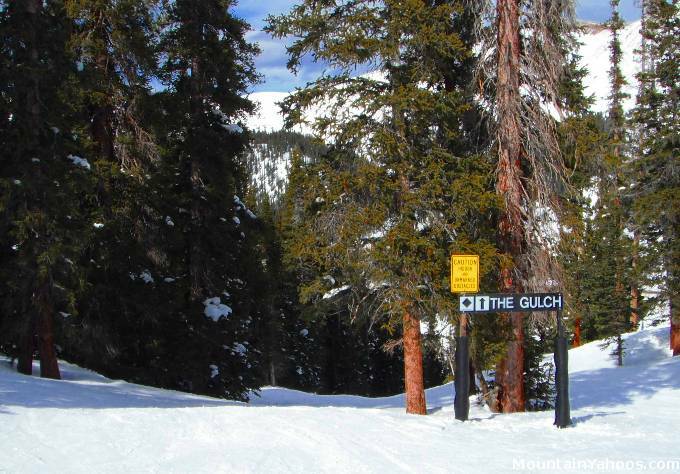 The entrance to The Gulch looks innocent but is well marked. 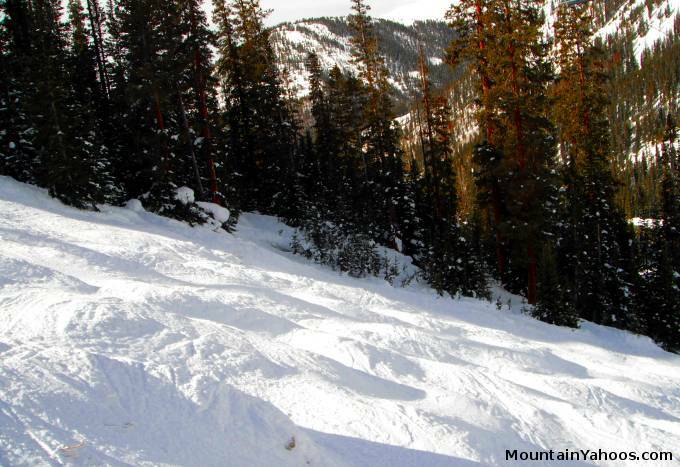 With sixty percent of the terrain designated "Advanced", it is no wonder there are plenty of moguls runs as well. 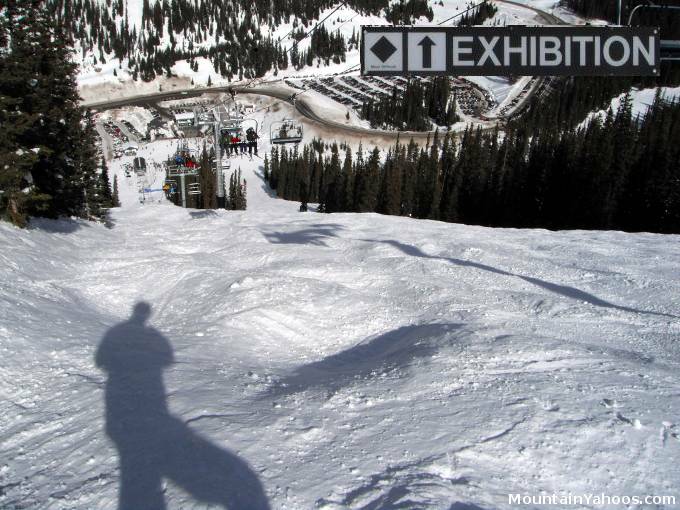 More of the run "Exhibition"
The most notable due to its prominence and huge stature is "East Wall". 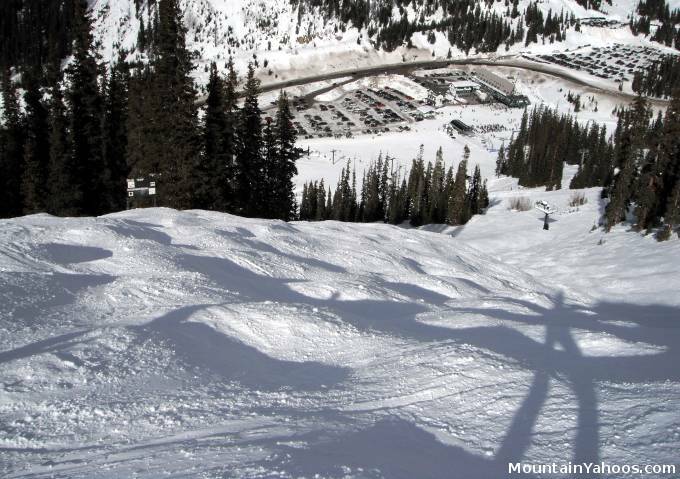 Also see A-Basin Upper East Wall Chutes. 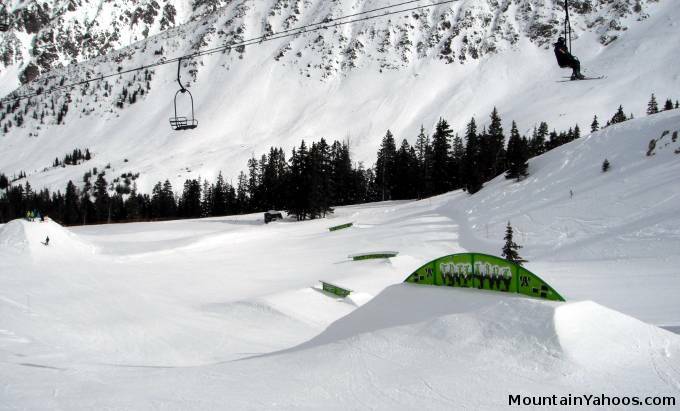 While A-Basin is not known for boarding or terrain parks, it does have two parks (Treeline and High Divide) with your typical park features like rails, table tops and jumps. 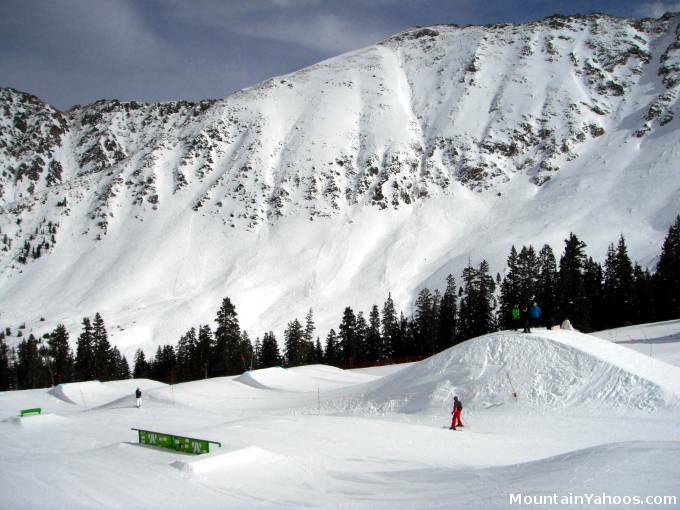 The base of the mountain can provide basic rentals and equipment repair needs. 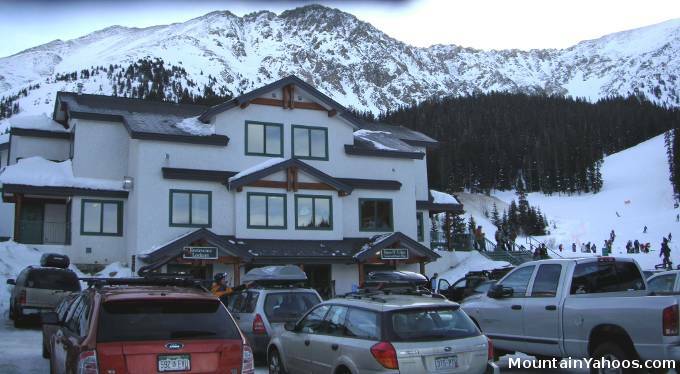 The outlet mall in Silverthorne is the best nearby shopping with an abundance of brand name outlets. 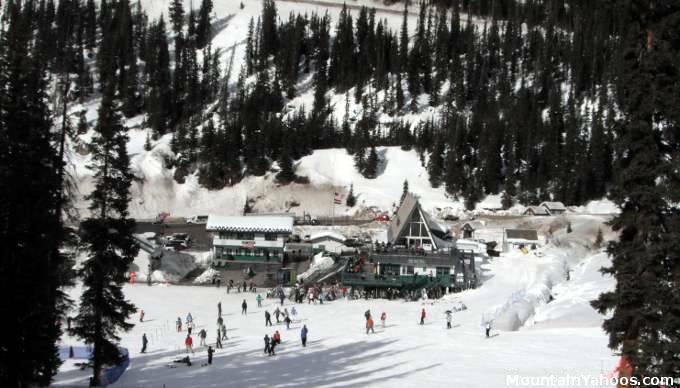 The nearby towns of Frisco and Dillon also have some limited shopping. 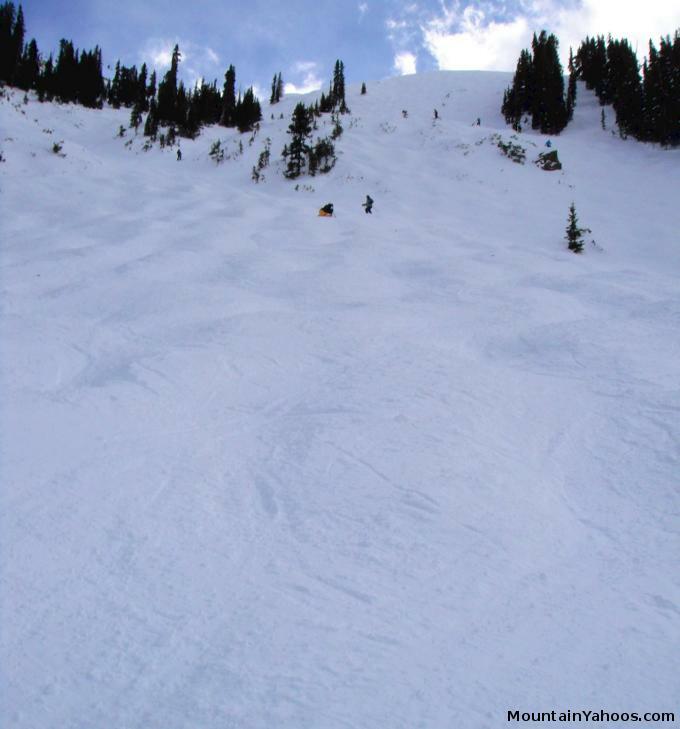 The tune shop at the base can cover basic tune and repair.